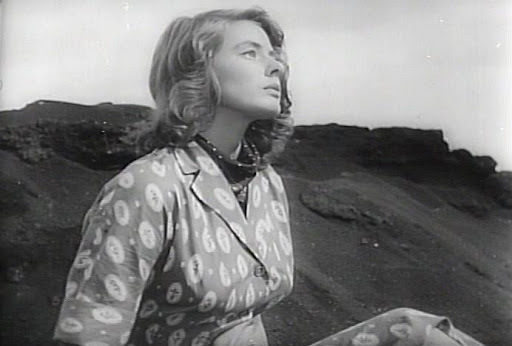 Upon its release Stromboli was talked about for its behind the scenes romantic scandal between the film’s director, Roberto Rossellini, and it star, Ingrid Bergman, more than for the actual product on screen. 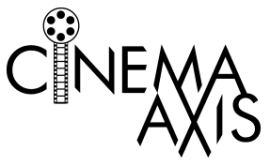 As a result the film was boycotted by some in the United States and panned, some would argue unfairly, by critics. Considering the amount of Hollywood scandals that have occurred since the film was originally released in 1950, and the fact that film lovers have become far more open-minded, it seems only fitting that Stromboli gets a newly restored big screen treatment. 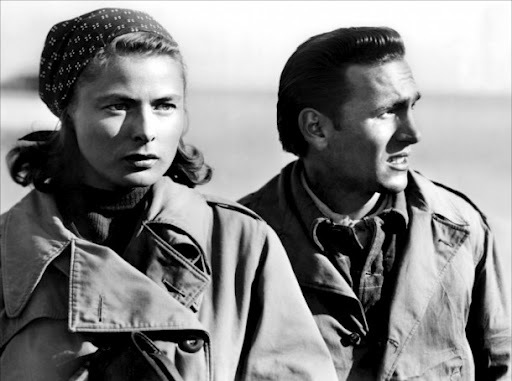 Rossellini’s film tells the story of Karin (Ingrid Bergman), a Lithuanian refugee who finds herself stuck in an Italian displacement camp after fleeing the events of WWII in her homeland. When Karin’s attempt to obtain a visa to Argentina is denied, she accepts the marriage proposal of Antonio (Mario Vitale), a recent prisoner of war. Though Antonio is a simple man, Karin sees a chance for freedom from the camp when Antonio takes her to live at his home on the island of Stromboli. Karin’s expectations of the frills of island life are dashed when she discovers that Stromboli is a desolate place with an active volcano. Furthermore, Antonio’s rundown house is far from the living accommodations that Karin is accustomed too. Antonio’s lack of money only worsens Karin’s view of the situation. In order to make his wife happy Antonio decides to enlist the locals to repair his house, while he swallows his pride and takes a job on a fishing boat. Although Antonio works hard at his job, he is routinely taken advantage of in regards to receiving proper payment as his employers know he needs to keep his wife, referred to as “the foreigner”, pleased. While Antonio is away at work, Karin struggles to make life in Stromboli somewhat bearable. She is ostracized by the majority of the local women as they find her to be too “brazen” and in need of humbling herself. Even the town priest (Renzo Cesana), who was the only one to seemingly understand Karin, grows weary of her habits. Their views are fueled even further when Karin’s flirtatious ways with the lighthouse keeper (Mario Sponzo) causes a stir, leading men to chant “cuckold” to Antonio as he passes by. However, the more Antonio tries to turn Karin into an obedient wife, the more her desire to escape the island grows. It is this desire for freedom that will ultimately lead Karin to question her life, faith, and her will to keep on living. As far as film restoration goes, it is apparent a lot of care went into fixing up the film. The print shown at the festival both looked and sounded great. Scenes such as the chaos surrounding the volcanic eruption, especially the maze like structure Karin must weave through, look glorious on the big screen. The same can be said for the tuna fishing segment which starts off with a few ripples before bursting into a frenzy of massive fish. Rossellini really captures both the beauty and feel of what it would be like to live on the island day in and day out. While Rossellini’s keen understanding of working class life offers a nice additional layer to the film, it is Bergman’s mesmerizing performance that truly makes Stromboli tick. As Karin, Bergman masterfully displays the character’s turmoil while constantly changing how the audience perceives the character. Is Karin a woman who is too brazen and lacks compassion? Or is she a woman who is suffocating under the prison like restraints that the island provides? Well, she is both. She is the embodiment of the modern woman stuck in the old world. She is so consumed with being a liberated woman that she rarely considers anyone else’s feelings. This is especially noticeable when she fixes up the house and removes everything Antonio holds dear without consulting him. She views the way of life in Stromboli, especially the treatment of rabbits and tuna, as barbaric. Despite this you cannot help but understand her actions towards the end of the film and the overall implications they will have on her moving forward. It is hard to believe that Stromboli, a neorealist film, was a major Hollywood release in its time. The film is far more challenging than most of the films RKO produced at the time. Although the film was not well received upon its released, the real scandal was criminally overlooking this cinematic gem. Newly restored, Stromboli is a challenging but rewarding film that works in part because of the outstanding work of Bergman.